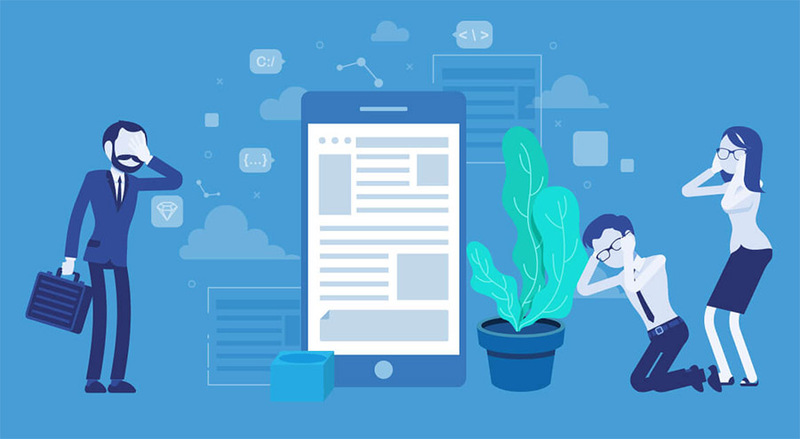 The world of mobile app development is quickly growing, and it would be naive to assume it will remain monolithic in essence all the time. Technologies, approaches, and preferences are diverse, and their final choice does not result solely from the project objectives but also from the preferences the developers themselves may have. 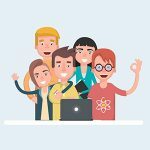 Disputes concerning the development approach occur quite often: will we make a native app, cross-platform, or hybrid? 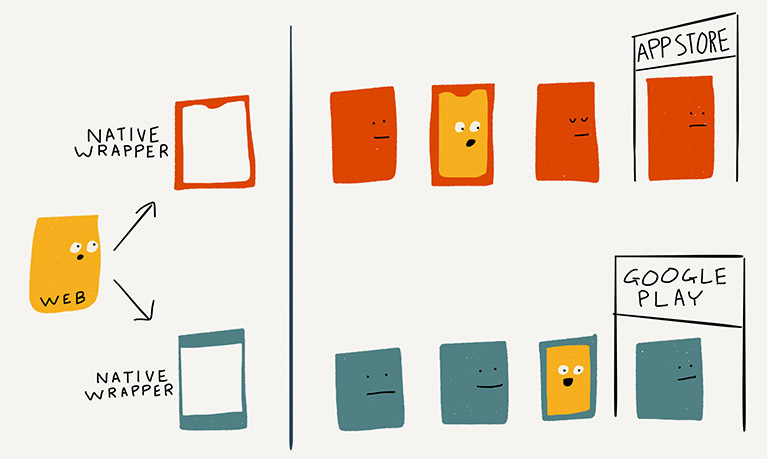 To make the right choice, it is necessary to make sense of the unique features of each option. 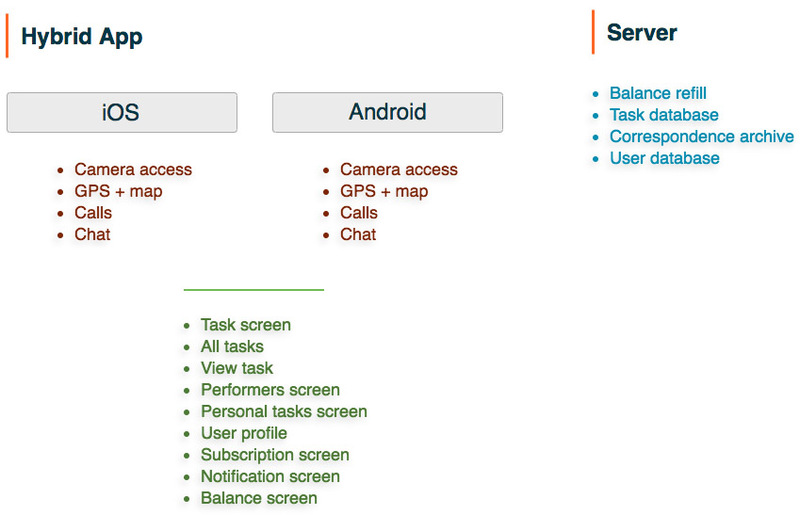 We have already written about cross-platform development in our blog. Now, let us talk about hybrid development. 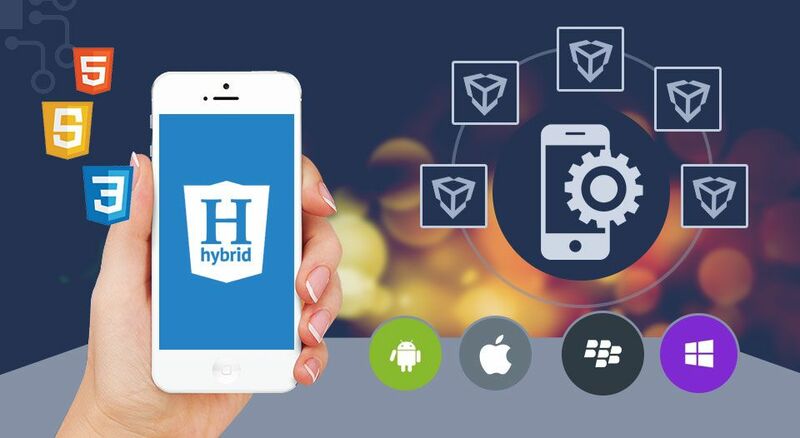 A Hybrid App – What Is It? The product becomes a hybrid app when wrapped in a native software shell. To put this procedure into practice, specialists use various frameworks – PhoneGap and Cordova are among the most common ones. So, we get a website in a mobile app shell which is capable of functions like push notifications and geolocation, using the operating system’s native components. In addition, it can also be distributed via app stores. Hybrid development is a kind of coding approach, rather than a particular variety of apps. Its concept is based on the possibility to code everything (read “all the functions not related to hardware”) on the server side, and leave only the necessary minimum on the client side. 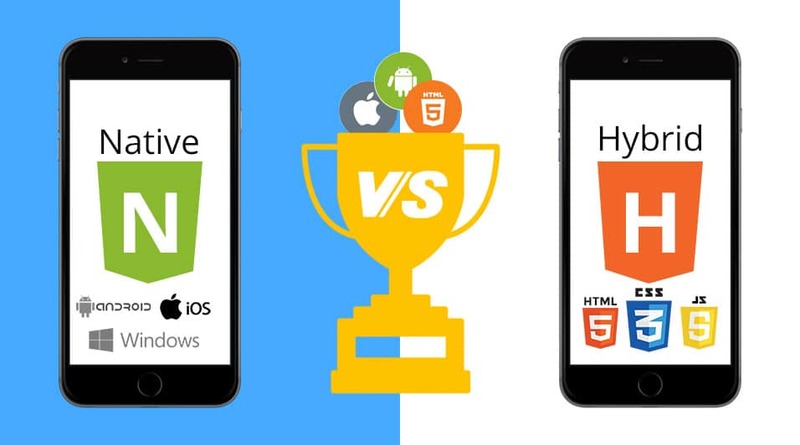 In other words, the main development difference between native and hybrid apps is in the number of functions implemented on the smartphone side. This approach is well illustrated in the image below: the functions highlighted in green are transferred to the server and developed once for both platforms, while the options highlighted in red are coded separately for each platform. Like any other technology, this approach has its pros and cons. If you understand them, you will be able to make the right decision regarding a hybrid app used as a tool for solving a specific objective. can be distributed through App Store and Google Play. difficulties in project scaling and development. If speed is not a crucial parameter for you, you do not have to solve complex issues using the app, and you are not after an individual design, then, perhaps, there is no need to overpay for native development. A hybrid solution will most likely be enough for you. You want to test a new product and market acceptance is not clear yet. The task is to test whether someone requires your product or not, to test a certain hypothesis. 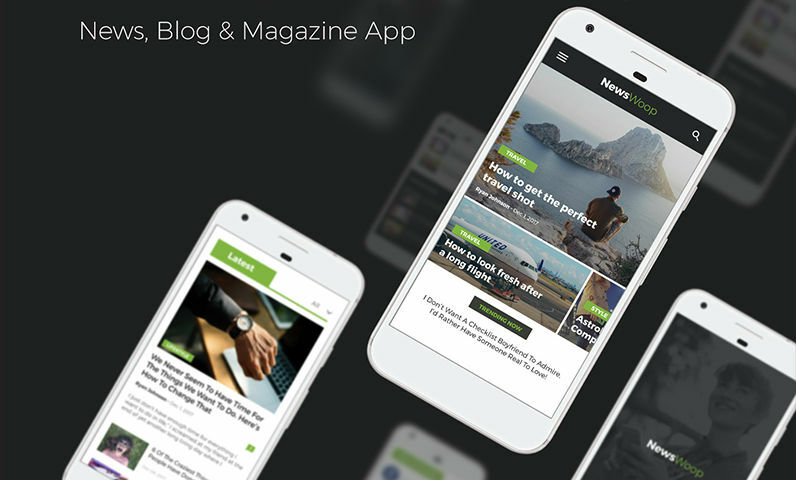 Your app objective is to simply display website content, while active interaction with the interface is beyond design, for example, a media project app. You do not need complex functions (complex work with data or a camera, etc.). The final product will remain intact despite support for many features of native functionality being excluded. You want to expand your intended audience coverage using a minimum budget. The hybrid approach allows budget savings: develop one version and use it on different platforms. However, if your objective will become more complicated in the future, and you need complex functionality, you will still have to spend money on native development. 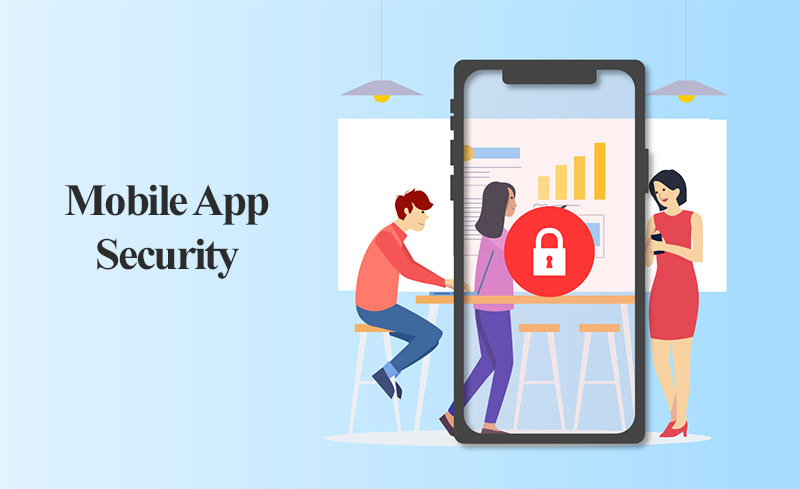 Nevertheless, hybrid mobile apps generally reduce the market entry threshold, and browsers installed on smartphones, currently show excellent performance. Consequently, this approach will most likely become more popular and promising in the nearest future.